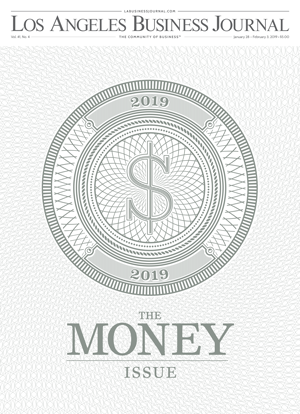 The Business Journal’s annual Money Issue is a compendium of the financial institutions and executives in Los Angeles County that help underwrite business and grow wealth regionally and across the globe. In it, you will find directories of local banks, credit unions and SBA lenders; private equity firms; investment banks and venture capital outfits; as well as money managers and factors. Information is culled from our annual lists and supplemented with feedback from our readers and members of the local financial community. 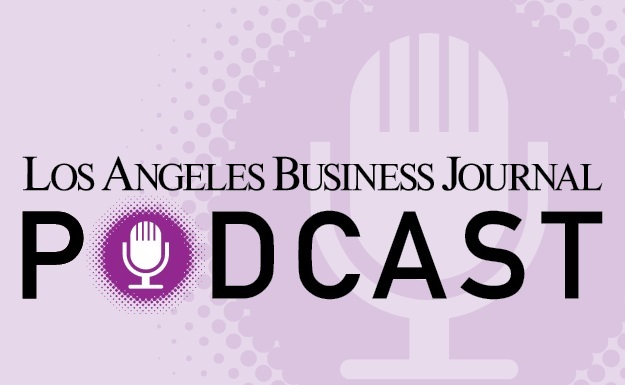 This special section also profiles new and growing players on the Southland’s financial scene, and some of the recent key deals brokered by L.A. companies in the last year – plus a few high-profile transactions that were left unconsummated. Taken as a whole, we believe the Money Issue gives a comprehensive accounting of the financial industry in Los Angeles and is something you will find value in. End of an era at City National as Kelly Coffey prepares to take over. Haim Saban bet on Old Hollywood with Panavision deal. Breitburn Energy Partners ran out of gas as oil prices dropped. L.A. venture capital firms gave Ring a ringing endorsement in funding rounds. A fruitful 2018 for Dole as it sold equity stake to Total Produce. Leonard Green got into roofing business with SRS Distribution purchase. Molina Healthcare sold off IT unit for $231 million. Marlin Equity reeled in another health IT buy with AdvancedMD.